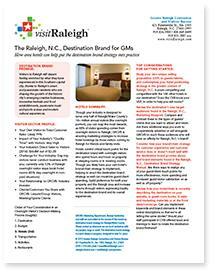 The Greater Raleigh Convention and Visitors Bureau (CVB) has created and will curate a series of tools to help you put the Raleigh, N.C., destination brand strategy into action in your business or organization. You can see and download them here. 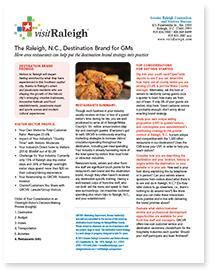 A visit to Raleigh is more than a trip to a blossoming Southern metropolis--you&apos;ll feel enriched and energized the instant you&apos;re warmly welcomed by its smart, savvy locals. 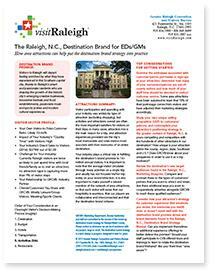 Raleigh&apos;s bright minds head top-tier technology, education and life science institutions; its artists create a bevy of cultural and culinary touchstones; and its storytellers proudly carry on the collective heritage of a rich, historic capital city. Should you need a nature break, you&apos;ll need not go far! While the city bustles, the serenity of its surroundings permeates the area with natural parks built for sports and exploring, vast greenways conducive to cycling and taking in the sights and beautiful lakes that encourage the ultimate in relaxation. 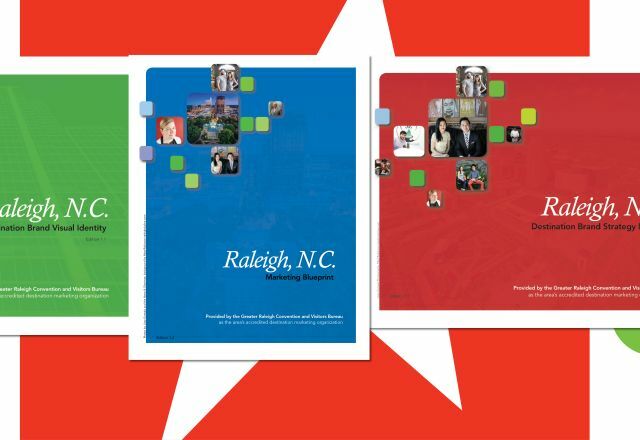 Raleigh may be quiet about the fact that it&apos;s leading in most recent quality of life rankings, but the fact is, you&apos;ll enjoy visiting as much as people enjoy living here. Come see what the city will inspire in you. Its authenticity is homegrown by passionate locals, rooted in Raleigh. To view printable flyers, you&apos;ll need the free Adobe Acrobat Reader.